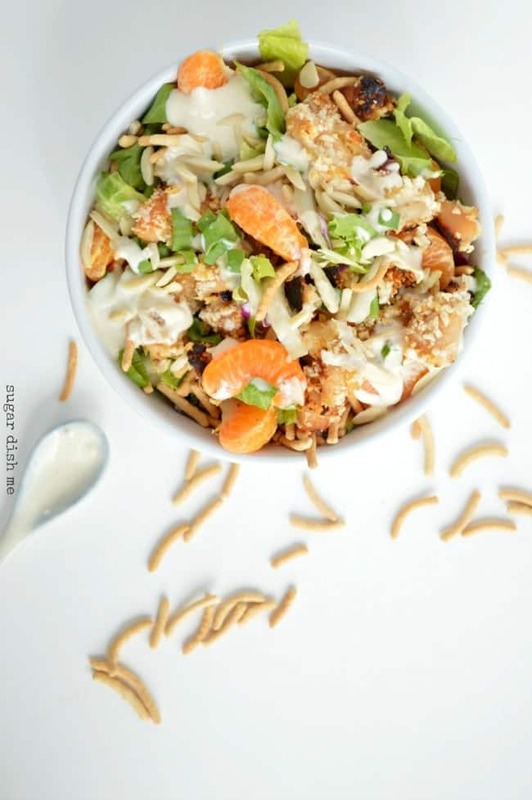 This Asian Chicken Crunch Salad is my ABSOLUTE favorite! 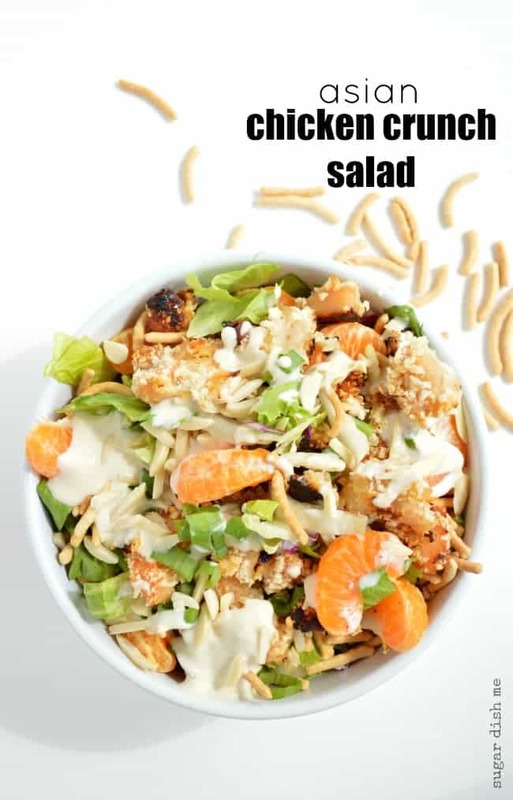 It’s loaded with crispy baked chicken, almond slivers, crunchy chow mein noodles, mandarin oranges, and a sweet creamy dressing that is reminiscent of Applebee’s Oriental Dressing, but without all the mayo and sugar. Say hi to the salad I have eaten 8 times in 2 weeks. I promise it’s that good. I need to start with a tiny little apology though. A variation of the same dang chicken. But you know? I just like it. Don’t fix it if it ain’t broke. And you can do 10000000 things with it. See? I’ve been eating mandarin oranges like as if my life depends on it since December, because I just know that any minute I’m going to get that sad bag of oranges with no flavor and I’ll have to go without them until it’s cold and cruel outside again. That is your cue to get on this Asian Chicken Crunch Salad Bandwagon with me. The oranges add this soft tart sweetness to the CRUNCHIEST salad; like it’s so perfect it’s making my mouth water just writing about it right now. I need an orange before we proceed. Hang on. Okay so let’s talk dressing. This is a kind of copycat of Applebee’s Oriental Dressing. To be totally honest I was not really a fan of calling this ‘oriental’ dressing. Words that have the potential to alienate or offend are not my thing (unless you count the fact that I swear like a sailor. sorry.) and it worried me enough to ask Google 20 questions about the proper usage of the word. I guess the things that quantify this dressing as oriental or “from the far east” are things like soy sauce and toasted sesame oil, which for me are the farthest thing from offensive. They are delicious. If you start looking for Oriental Dressing recipes, they all have a ton of mayo and even more sugar. Which for me defeats the purpose of eating a salad. With that much mayo and sugar there better be a burger and a milkshake involved, ok? So I did what I always do and got busy making dressing with Greek yogurt. There’s only a teaspoon of sugar. There’s rice wine vinegar, toasted sesame oil, honey, soy sauce. It’s completely creamy delicious. Other things that make this salad CRUNCH? Slivered almonds. Napa Cabbage! Chow Mein Noodles. Fresh Green Onions. 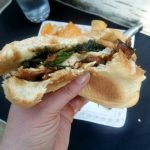 It’s so good I’m going to make it again for lunch. 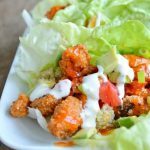 This Asian Chicken Crunch Salad is my ABSOLUTE favorite! 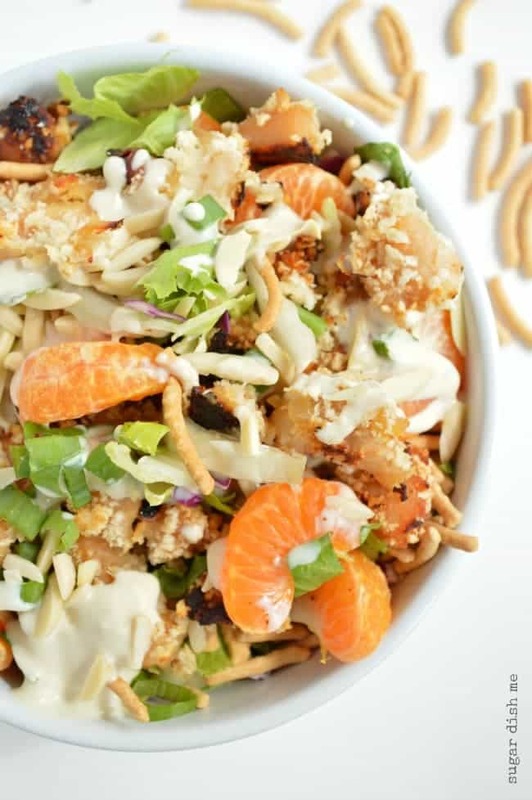 It's loaded with crispy baked chicken, almond slivers, crunchy chow mein noodles, mandarin oranges, and a sweet creamy dressing that is reminiscent of Applebee's Oriental Dressing, but without all the mayo and sugar. Preheat the oven to 375F. Coat a baking sheet with nonstick cooking spray. Toss the chicken pieces with the honey. Pour the breadcrumbs in a shallow dish and then coat each chicken piece with the breadcrumbs. Bake for 20 minutes. Check the chicken to make sure it's cooked all the way through. While the chicken bakes, chop and wash all your lettuce and cabbage, and peel the oranges. Then make the dressing. 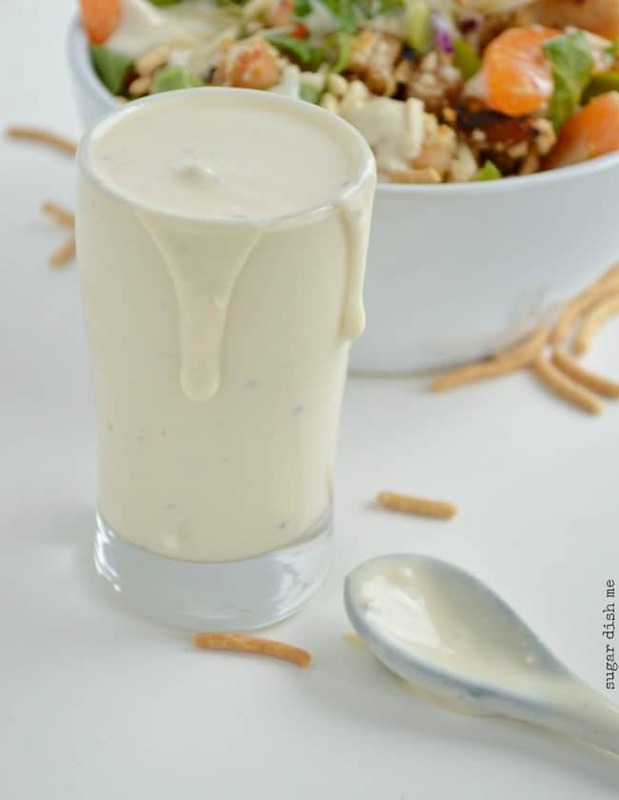 To make the dressing whisk together the Greek yogurt and rice wine vinegar until smooth. Add the honey, dijon mustard, soy sauce, sugar, and toasted sesame oil. Whisk in the olive oil until smooth. To build the salads, toss together the lettuce, Napa and red cabbage. Divide into 4 bowls. To each bowl add ¼ cup of the chow mein noodles, one whole orange (slices pulled apart), ¼ of the almonds, and ¼ of the chopped green onions. Drizzle the dressing over the top of each salad and serve. Toasted Sesame Oil can be very strong. Start with a small amount (the ½ teaspoon called for) and add more to taste. 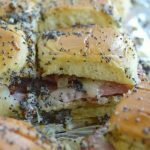 It adds an incredible depth of flavor but you want to be careful not to go overboard. I could eat this salad ever single day, no joke! That dressing might just need a straw! You done good with this one! Thank you!! I am not even exaggerating about how often I’ve been eating this. 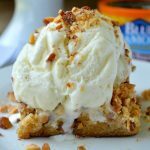 It’s quick, healthy, easy, and omg it is so good! Looks wonderful, Heather. Have to give this one a try! Yum! I love salads like this that are super pimped out and totally outrageous. The dressing alone makes me want to grab a straw. DELICIOUS. Thank you! I am unreasonably addicted to this salad! !